THE reality behind Vista 7 is a lot worse than anyone in the press dares to admit. Almost no-one, except Gizmodo perhaps, actually wrote about Microsoft’s own admission that Vista 7 Student Edition is messed up. Apparently Microsoft decided to release the upgrade as an installer instead of an ISO file, and it’s causing all kinds of headaches. Users are reporting that after the installer goes through the “Unloading the BOx” step, an error occurs and the installation fails. Wow. So Vista 7 is not so perfect after all. Who would have guessed? Microsoft’s massive security update last week included patches for nine Windows 7 vulnerabilities, far fewer than were issued for Windows Vista and Windows XP. 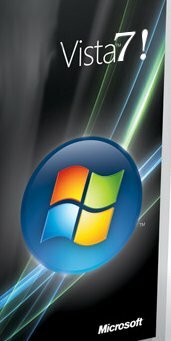 Microsoft proved to be a party pooper even before its Windows 7 launch parties took place. A few days in advance of the parties, the company said it had patched 9 vulnerabilities, including five critical ones. The ‘Microsoft press’ is trying to play down these serious security issues and from Microsoft we are now learning that an estimated figure of 320,000,000 Windows zombie PCs out there is not far fetched. Almost a third of the customers who have installed Microsoft’s free Security Essentials software have been found to be suffering from major malware infections. Security experts have discovered a massive spam campaign going on this week, attempting to distribute the password-stealing Zeus Trojan application across the internet. The Trojan has reportedly afflicting a large number of PCs across the globe and has created a massive botnet of zombie machines for circulating malicious spam attacks. Of course. But XP is no gold standard. Compare that to GNU/Linux distributions, which are released within hours/days after ‘RTM’ (just need to be put on mirrors). There are also X.1 releases, especially for LTS versions.